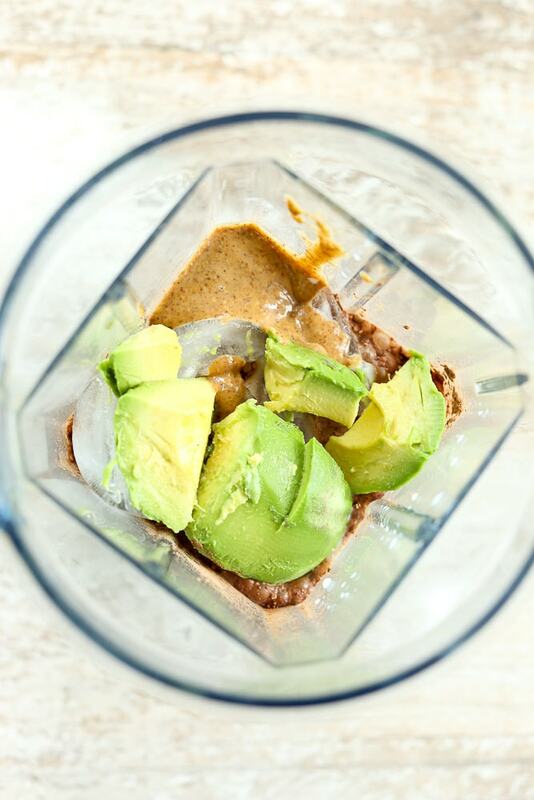 This Avocado Smoothie Bowl is a filling way to start your day and has a balanced amount of carbs, healthy fats, and protein! If you love the idea of smoothies, but don’t like drinking your breakfast, this Avocado Smoothie Bowl is for you! You make smoothie bowls in a blender, just like you would a regular smoothie. This one is filled with AVOCADO! A smoothie bowl is just like a smoothie, only thick enough that you can eat it with a spoon. I’ve been making all kinds of smoothie bowls lately. 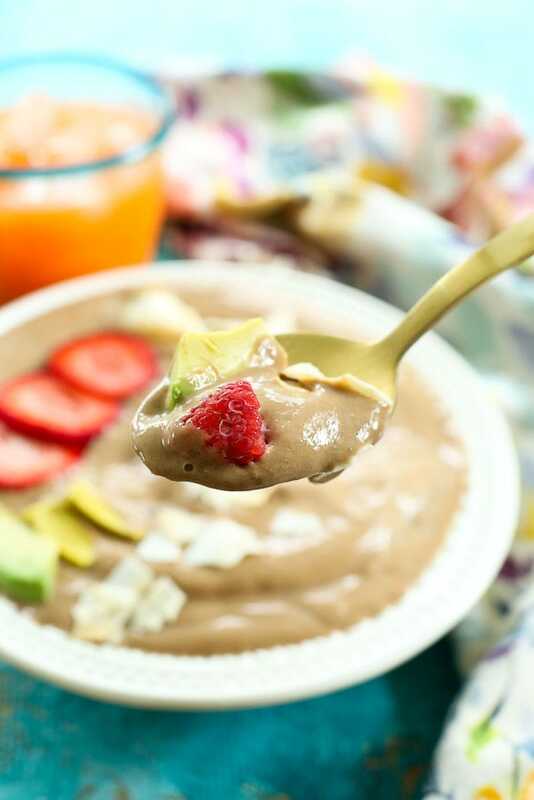 This Avocado Smoothie Bowl is filled with goodness that makes it a great, balanced breakfast. You don’t necessarily have to use the collagen powder, but it gives it a better balance of protein and has a lot of health benefits, as well. You can read about the health benefits of collagen in my Café Mocha Collagen Protein Smoothie post. The kinds of collagen we like are this unflavored collagen from Bulletproof or this marine collagen from Vital Proteins. The best part about smoothie bowls are the tooooppppings! I think that’s why I’ve been loving smoothie bowls so much. You can add lots of toppings that give flavor and crunch. I give you a list of suggestions, but you can definitely make this your own. Have fun! Place all of the ingredients, except the ice, into the blender. Blend on high until thoroughly combined and smooth. Add ice, starting with 1 cup, until the desired thickness is achieved. 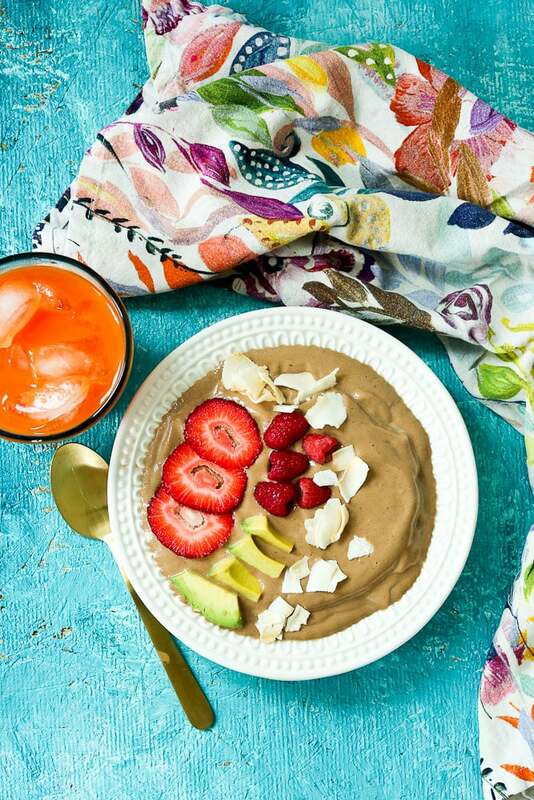 If you make this Avocado Smoothie Bowl recipe, or any Happy Healthy Mama recipe, I would LOVE to see it! Please take a pic and share it on Instagram or the Happy Healthy Mama Facebook page and tag me @happyhealthymama ? 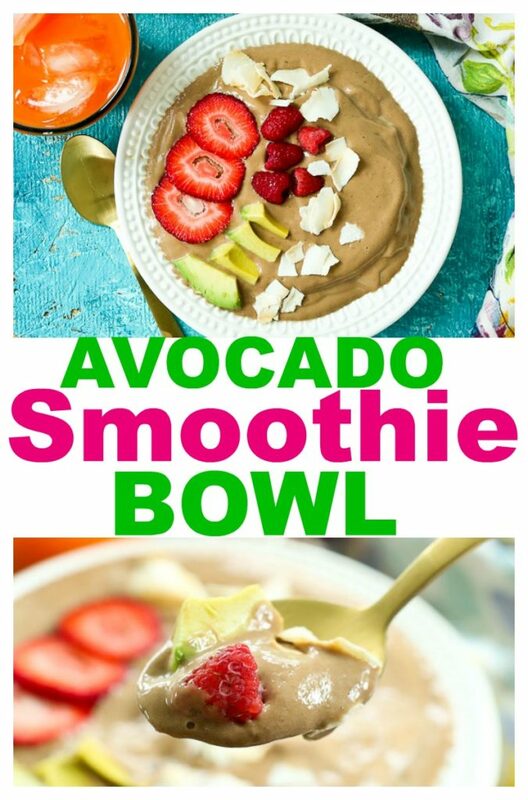 I love this, avocado is one of my favorites.. thanks for sharing your smoothie bowl recipe.. I wasn’t a fan of avocado….till now! This is a very good smoothie recipe, thank you for sharing!